"At least a 100 times ROI"
Since 2004, we have accrued a wealth of knowledge and experience in our specialist area: the first 100 days of a new leadership appointment. 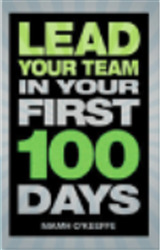 We have helped craft hundreds of leader’s First 100 Days Plans and provide advice on the nuances of leadership transitions and how to have an outstanding start to a new role. We work with leaders who may wish to hire us privately, or through their organisation's budget. We work with internal promotees, new hires, maternity returners and within other returnship platforms. We also work with company boards and HR to help integrate and support new leaders and to mitigate leadership transition risks. We partner with executive search and recruitment firms to increase their potential for retained search by offering candidates a useful support service through to the end of their first 100 days. 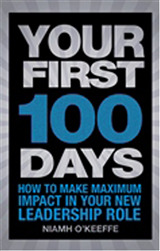 "An insightful 100 minutes read for a great First 100 days"
Through our unique frameworks and approach, we help organisations reduce costs, save time, and set their people up for success. We help leaders focus on what really matters: exceeding expectations and getting off to an accelerated start. Put simply, we help our clients achieve results in the first three to six months that could otherwise take eighteen months to two years to achieve.